This post aims to provide several different methods to put iPhone 6s/iPhone 6s Plus into Recovery Mode. When Do We Need to Put iPhone into Recovery Mode? touch through Software Update isn’t working. l iPhone gets stuck at white apple logo screen. l iTunes can’t recognize your iPhone, iPad, or iPod touch after an update. l iOS device has an endless reboot during or after iOS 9/8 update. l iPhone is unresponsive to any touch. I will tell two top methods to put iPhone into recovery mode. 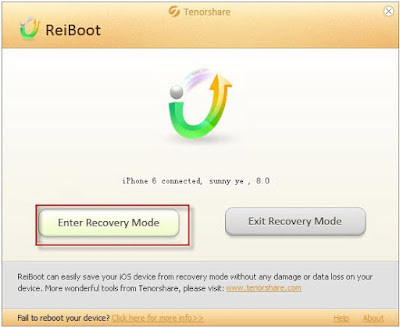 ReiBoot is a free utility from Tenorshare that allows you to enter and exit recovery mode with just one click. This gadget is ranked the best download in Cnet. Simply designed with two buttons, ReiBoot can fix various of stuck issues your iPhone, iPad or iPod touch may come across, including iPhone freeze related with iOS update, jailbreak, reboot loop, white apple logo, or reboot loop. This is of vital importance when home or power button is not working. Download and Install ReiBoot to put iPhone 6s/6s Plus into recovery mode. Step 1. Start ReiBoot and connect your iPhone to computer via USB cable. Step 2. 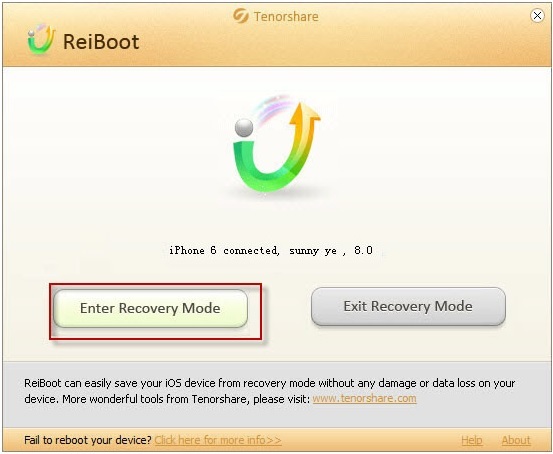 Click the left button “Enter Recovery Mode” and wait for ReiBoot to put your iPhone into recovery mode. This completes within 10 seconds. That is all. Quite easy, isn’t? The operations are the same when you exit recovery mode. Just click “Exit Recovery Mode” and wait for a few seconds. You can also try to manually enter your iPhone into recovery mode. Following are the steps. for your reference. If you are an amateur, ReiBoot is the best recommended method to put your iOS device into recovery mode. Turn off your iPhone, iPad or iPod. Here are the steps:Press and hold On/Off button on the right side of iPhone 6s/6s Plus /6/6 Plus for 3 seconds. 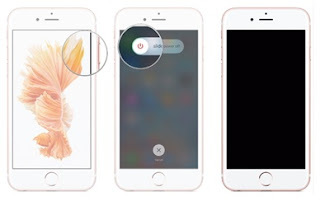 If you are using other iPhone generations, the On/Off button locates on the top. Swipe the side to power off slider to the right. While pressing and holding the Home button down, plug your iPhone 6s/6s Plus to a Windows or Mac OS X via USB cable. Make sure iTunes is running. Release the Home button until you see the Connect to iTunes screen. iTunes will pop up a message saying iTunes detects an iPhone that is in recovery mode and it needs to be restored.